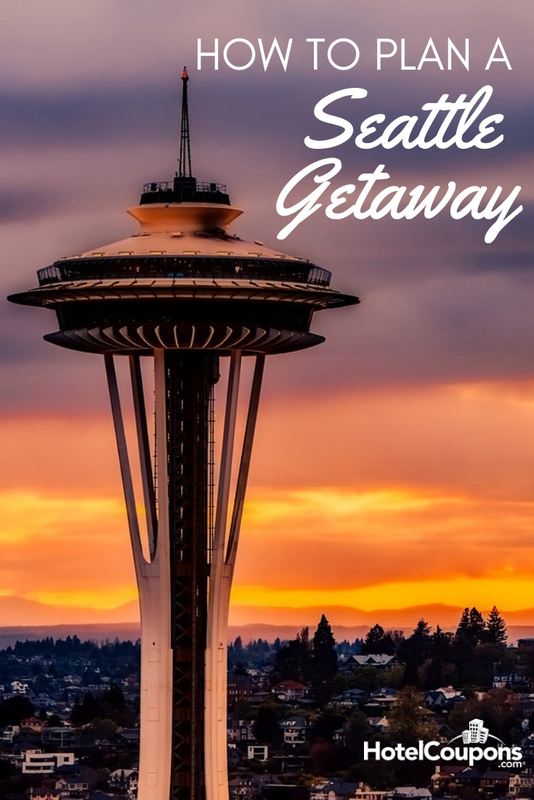 Have you been dreaming of a Seattle getaway? We don’t blame you. Seattle has got it all. A vibrant hip cultural scene, great food, and some pretty unique tourist attractions too. For a short trip, like a long weekend, you can’t pick a better place to enjoy a few days away from the hustle and bustle of your real life. There’s no better time to start planning than right now, so let’s get to it. If there’s one thing that’s universally known about the Pacific Northwest is it rains…a lot. While the summer season is absolutely incredible, you’re likely to get hit with rain from October through April. Though it rarely ever pours. If that’s something that you think will put a damper (pun intended) in your plans, consider heading to Seattle in the summer months. Offseason and shoulder deals can be had the rest of the year. Plus, there’s always a chance you’ll hit a great streak of weather. Seattle is the hub of the Pacific Northwest- that means it’s easily accessible up and down the coast, from Vancouver to Los Angles and beyond. If you’re driving, take Highway 5, since it runs the length of the West Coast. Travelers looking to cash in their frequent flier miles can find great service from all the major airlines at Seattle Tacoma Airport, known locally as SeaTac. It’s about a half hour drive, and less than an hour via light rail to downtown Seattle. Traveling by rail is an option too. Amtrak runs to Seattle from Vancouver and Los Angeles and from as far East as Chicago. You’re never going to be short of stuff to do in Seattle. Here are a few of our favorites. You’ll find all sorts of trendy bars, cafes, and shops in Pioneer Square, right in the heart of downtown Seattle. If you want to learn a little of the history of the city check out some of the walking tours departing from here. You can’t really say your trip to Seattle is fully complete without spending at least a few minutes exploring Pike’s Place Market. 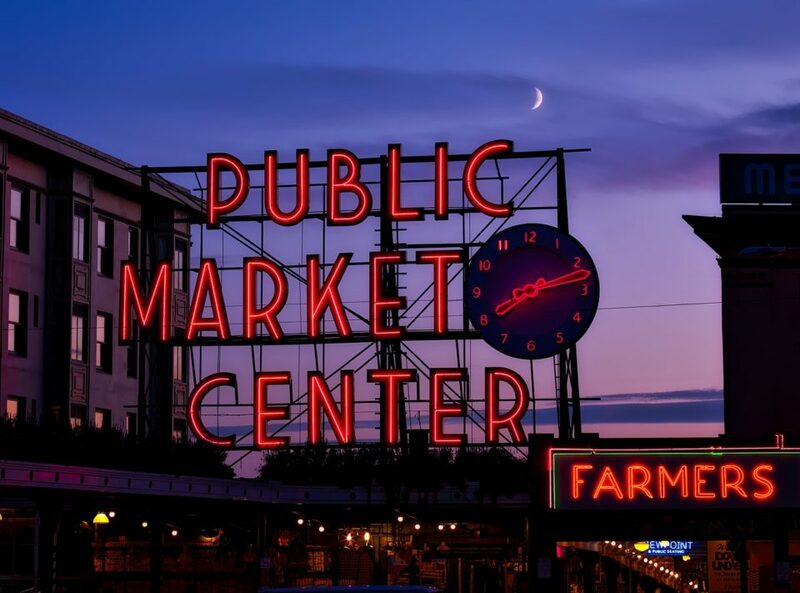 It might be the most famous public market in the country, for a good reason. If you’re willing to check out some of the less touristy parts of Seattle, the Ballard neighborhood is a good option. You can grab some fresh seafood and a microbrew and then wander around Ballard Locks which has a cool canal system and a public park. 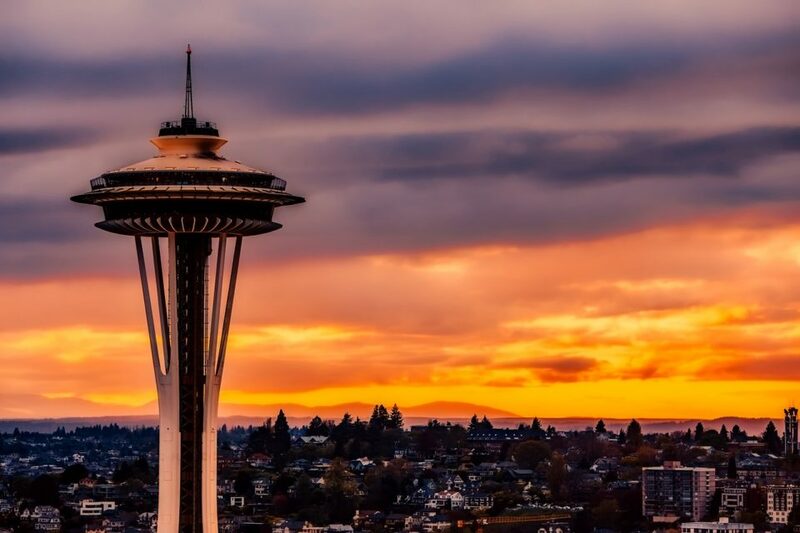 The Space Needle is a true Seattle landmark, but it’s worth the view. If you aim for around sunset on a clear day, you can see miles out into beautiful Puget Sound. In the same park complex, you’ll also find Chihuly Garden and Glass. Of course, when it comes to seeing everything Seattle has to offer, this list is just scratching the surface. Whatever you plan to see on your Seattle getaway you’re going to have a great time.